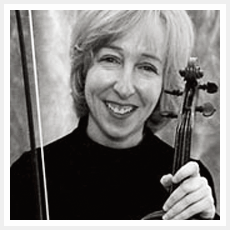 Violinist Sharon Cooper is an active freelance musician in southern and central California. She studied chamber music at San Francisco Conservatory and holds a BA degree in Music from Stanford University. Sharon has performed throughout California, Europe and Australia in numerous recitals, chamber ensembles, orchestras and civic events. She has performed solo works with the following symphonies: Moorpark, Valley (LA), New Valley, Santa Susana, Antelope Valley and Crestmoor. Sharon has also been featured soloist with the Channel Islands and Palo Alto chamber orchestras, Ventura Baroque, Santa Maria Philharmonic, Symphony of the Canyons and on KQED Public Television in San Francisco. Concert series showcasing her solo recitals include the Mt. Cross (Camarillo), Ojai Art Centre and Lompoc Music Association. In addition to her position in the Moorpark Symphony, Sharon is regularly Concertmistress of Santa Maria Philharmonic and Cabrillo Music Theatre (Thousand Oaks). On a lighter note, Sharon has often been heard on the soundtrack of Fox TV's animated features Family Guy, American Dad, Cleveland and King of the Hill as well as other TV, movie, original cast theater, and numerous diverse musical recordings. She has performed with David Benoit, Seth MacFarlane, Electric Light Orchestra, John Tesh, Hiroshima, Frank Sinatra, Jr., Al Martino, Laura Pursell and Riders of the Purple Sage, to name a few. Her solo violin can be heard emanating from pits of musical theaters in Ventura, LA and Orange Counties, as well as Phoenix and Tucson, Arizona. 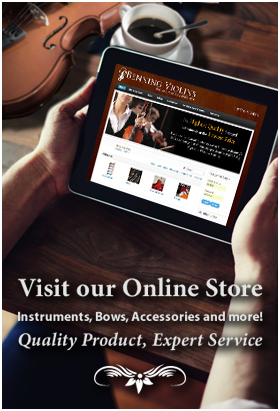 Sharon performs on a violin crafted by Benning Violins in Los Angeles, 1985.